Not everyone wants to move into a “dream” home where there’s nothing to be done but unpack and settle in. Many love the idea of getting their hands on a property they can stamp their own mark on, make a few changes and upgrade it to a style that suits them – and their budget. 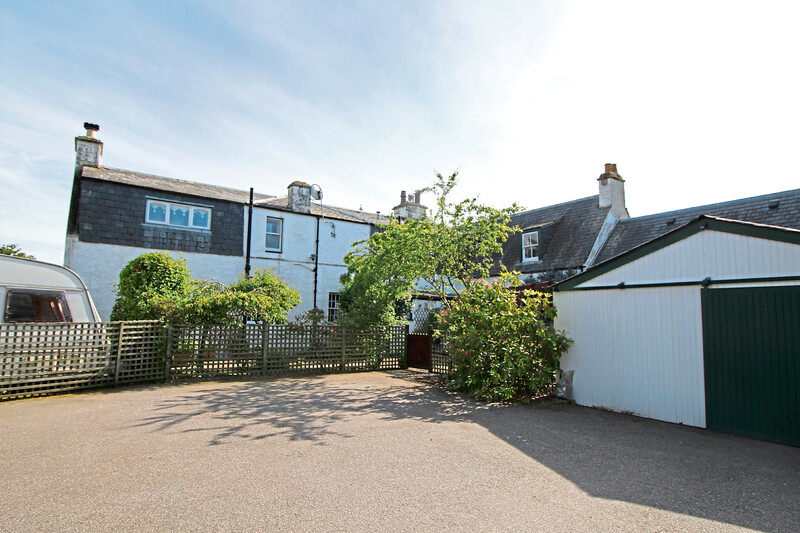 In many ways, properties that require a little TLC, such as Altonsyde on Inverness Road in Nairn, have the advantage of offering buyers the chance to own a property they perhaps did not think they could afford, as the asking price reflects that it needs some modernisation. On the market at offers over £260,000, Altonsyde is a large five-bedroom house with a lot of potential as it would make an ideal family home but would work equally well as a bed and breakfast. 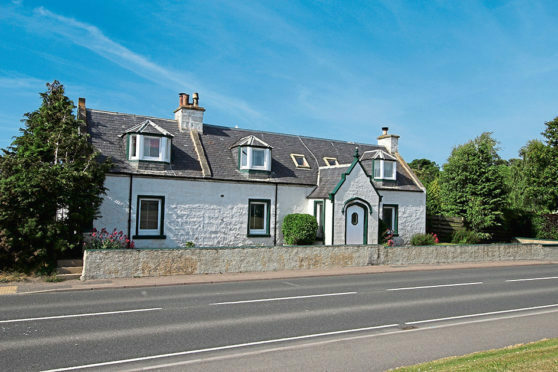 The one and a half storey villa with accommodation on two floors is on the western outskirts of Nairn and enjoys an open outlook. Currently unfurnished, viewing is recommended to fully appreciate the size of the accommodation, the location and the superb gardens. To the rear of the house there is a paved courtyard with fences and mature shrubs, while to the side there is a sheltered gravelled garden area with mature trees and shrubs. At the back of the courtyard a gate leads to a tarred parking area with colourful shrub borders and plenty of space for parking and turning several cars. To the side of the garage and shed there is a sheltered paved patio area, ideal for relaxing in the sunshine. The full accommodation comprises living room, dining room, family room, kitchen and utility room, two kitchenettes, bathroom, five bedrooms including one with en suite shower room and two further shower rooms. The living room is a large, bright L-shaped room with nice features including a large brick fireplace with wooden surround, wood-burning stove and stained glass windows looking on to the front hallway. The kitchen is a good-sized room with a range of wooden wall and floor cabinets and an AEG/ Electrolux six-burner range cooker with black glass splashback. From the kitchen, doors lead to the vestibule and dining room, which in turn, leads to the lounge, making it an ideal room for those who enjoy hosting dinner parties. 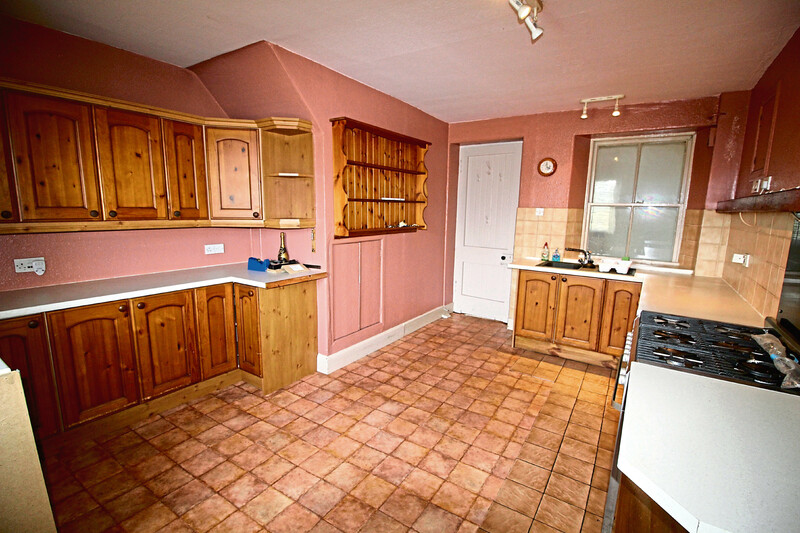 With two additional kitchenettes, family members can make their own meals if you are entertaining. With a family room, large bedrooms, several shower rooms and a bathroom, there’s space aplenty for anyone with a growing family and it means the traditional early morning stampede for the bathroom can be avoided. 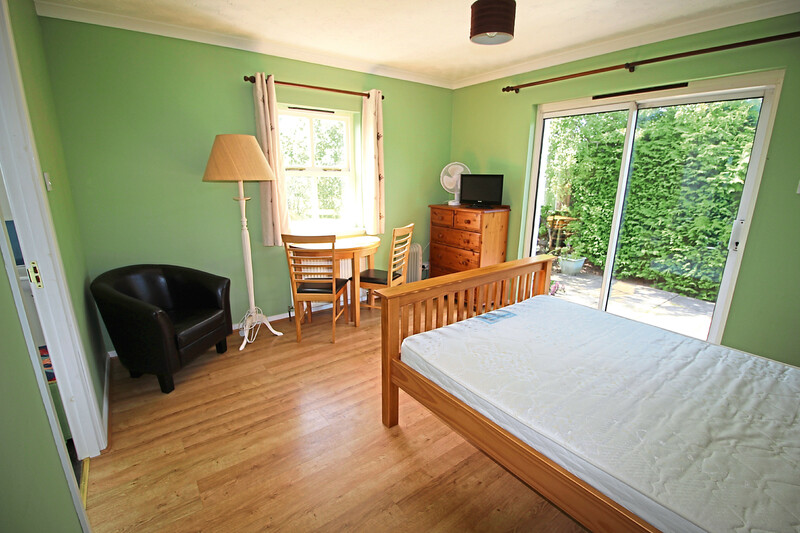 Bedroom five not only benefits from an en-suite but also has French doors leading to the rear patio, which means it would be ideal for guests or older teenagers who wanted to come and go without disturbing the rest of the family. Outside, there’s also a double garage with power and light, a timber shed and a log store, while the house has gas-fired central heating. 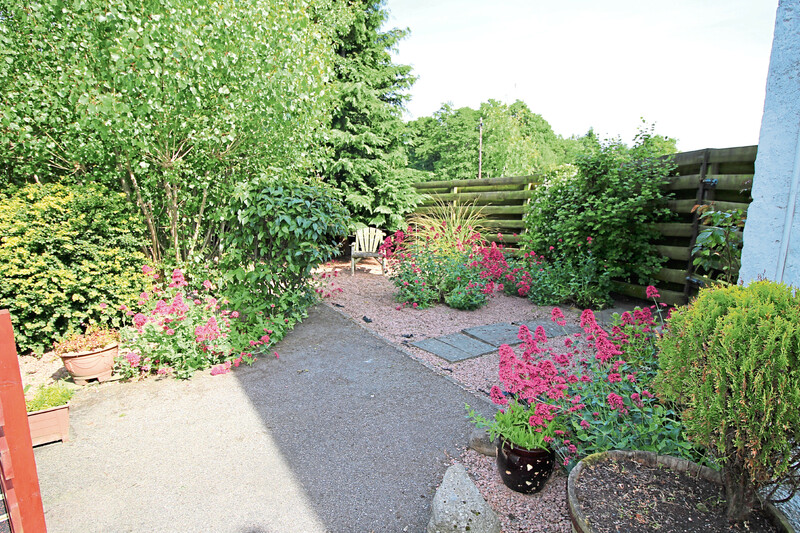 The property is within easy reach of the town centre, which in turn is within easy commuting distance of Inverness. Nairn has a good range of shops, amenities and local services, as well as fabulous, sandy beaches, two championship golf courses and a small harbour with berths for fishing and pleasure craft. Contact: Wright, Johnston & Mackenzie LLP on 01463 234445.